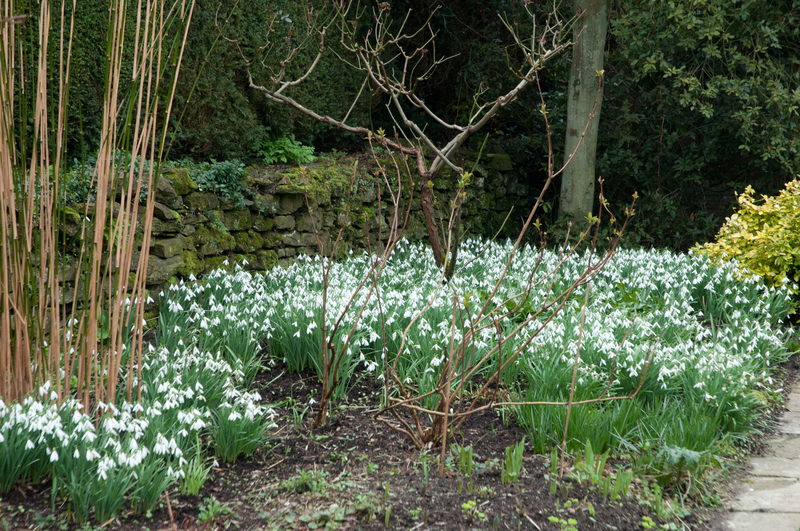 Spring has sprung at Great Dixter. 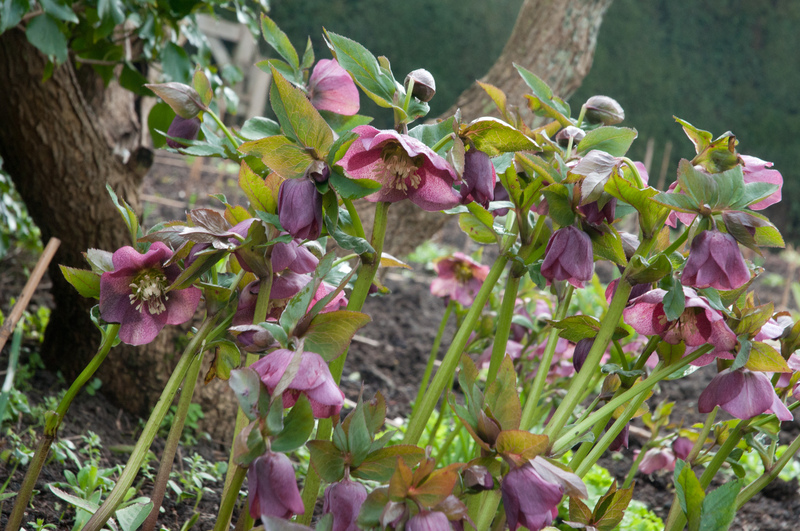 I have just spent 4 glorious days volunteering at this heavenly garden in East Sussex. 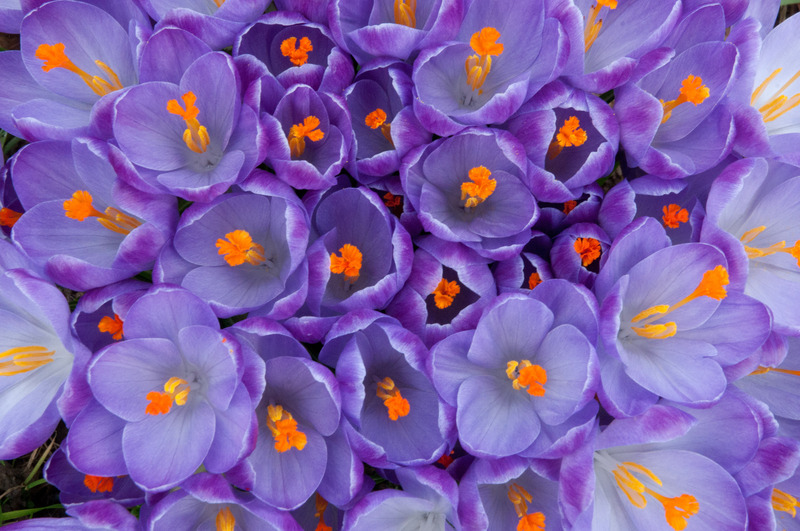 Heavenly, because no matter what time of year you visit, there are always plants to discover which will delight and knowledgable gardeners who will happily identify these wonderful plants for you. 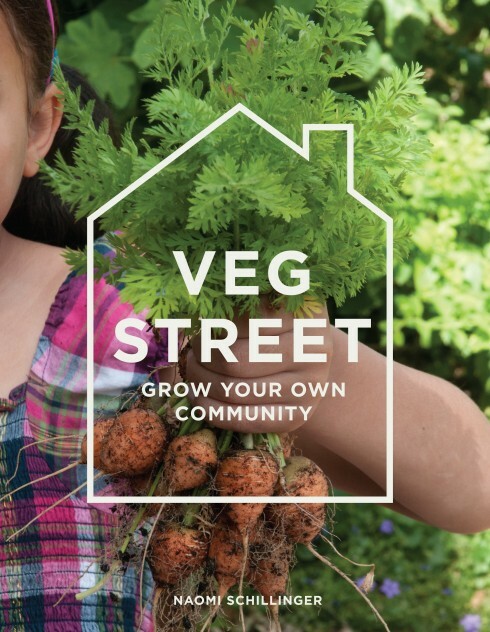 It’s slightly overwhelming to know where to start, but here are some of the plants and practices that I picked up on when I was there. 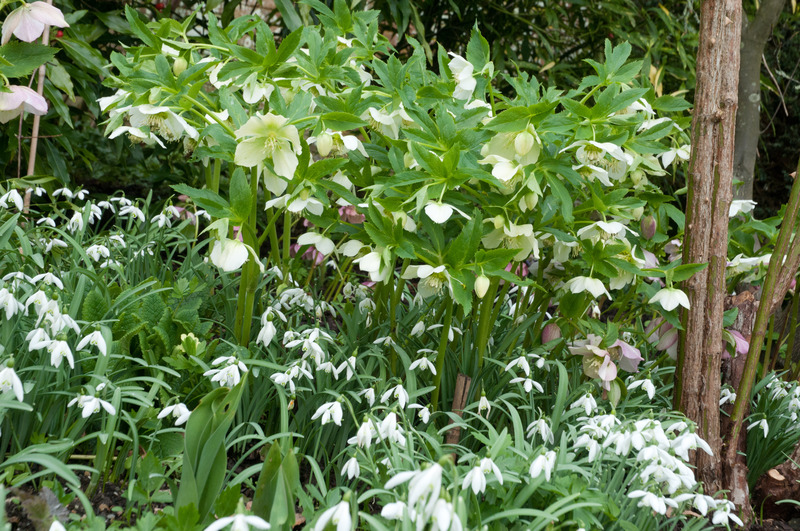 and Snowdrops (Galanthus), in many shapes and sizes, (and available from the Great Dixter Nursery!) 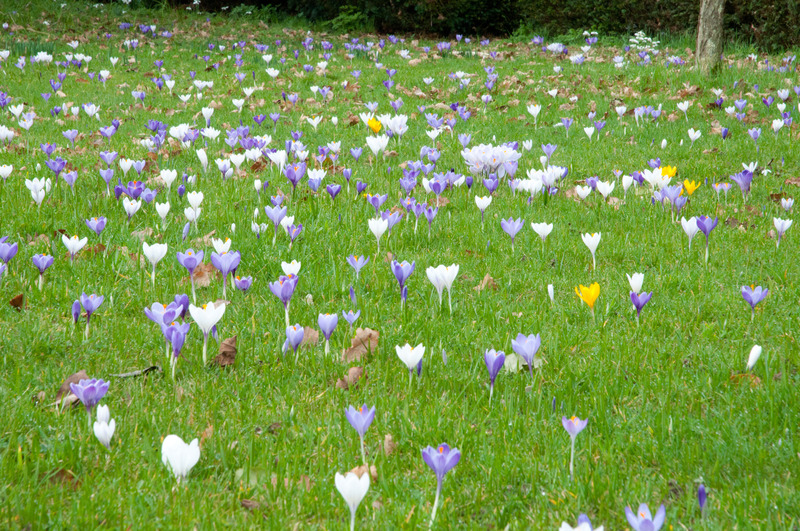 are carpeting the ground in many of the borders. Together, they make sumptuous combinations. Tucked away in the shadows of a Fatsia japonica was a Pachyphragma macrophyllum (above) who’s purest white flowers shone out from the shade. 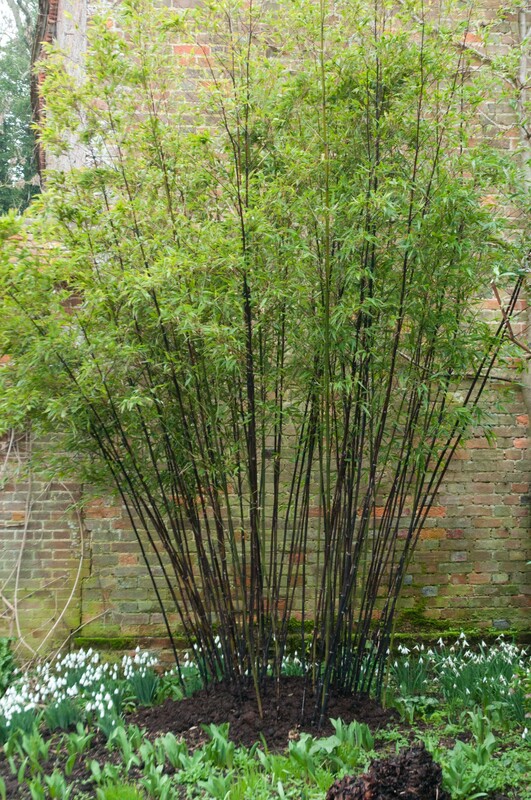 This is certainly a plant I will seek out to plant in shadier gardens and is available from, amongst others, Beth Chatto’s nursery in Essex (who offer mail order) and Beeches Nursery in Suffolk. 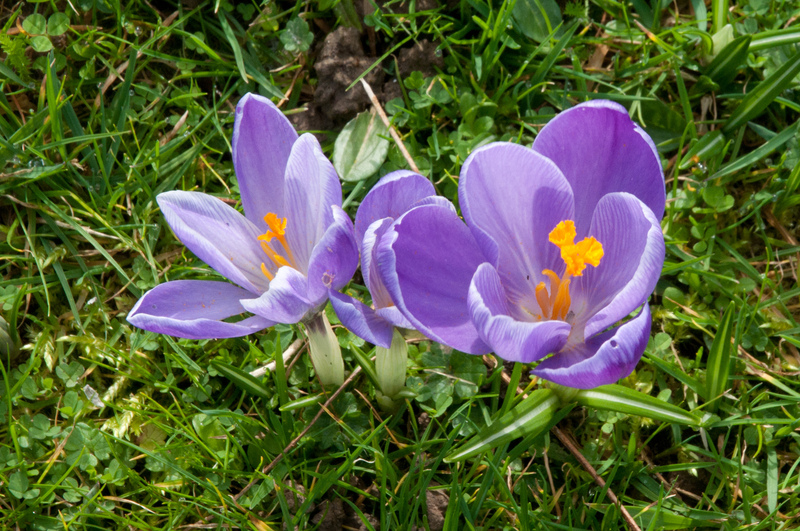 Crocuses glowing in the sun, and seen en masse in the fields of Great Dixter, really seem to capture the spirit of the place. 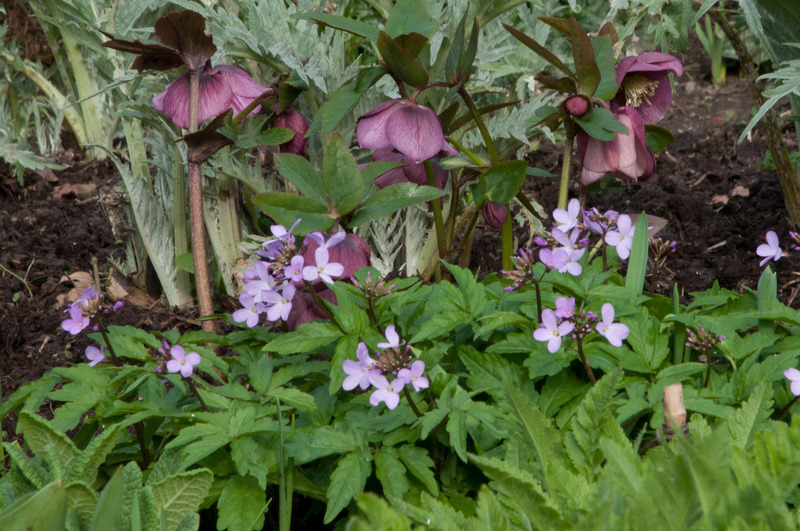 Cardimine quinquefolia, above, and appearing in many areas of the gardens at this time of year, is altogether a much more delicate affair and a fantastic companion to a purple Hellbore or a dark-leaved Bergenia. 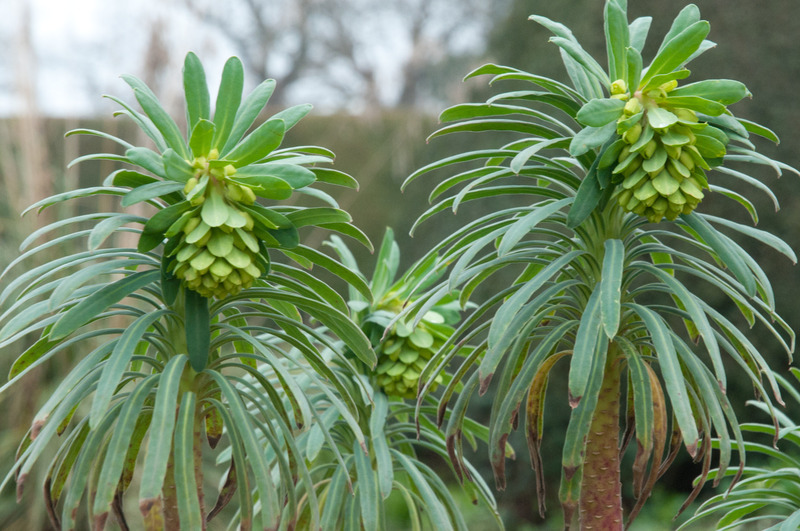 Add the vibrant green of the flower heads of a Euphobia foetidus, E.robbiae or E.wulfenii (above), and you can really create a very lively spring grouping indeed. 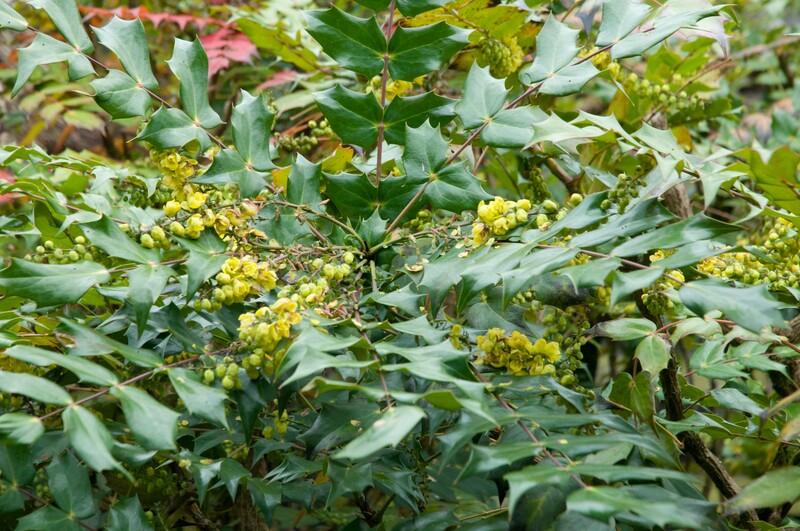 Mahonia japonica is not just a pretty face. 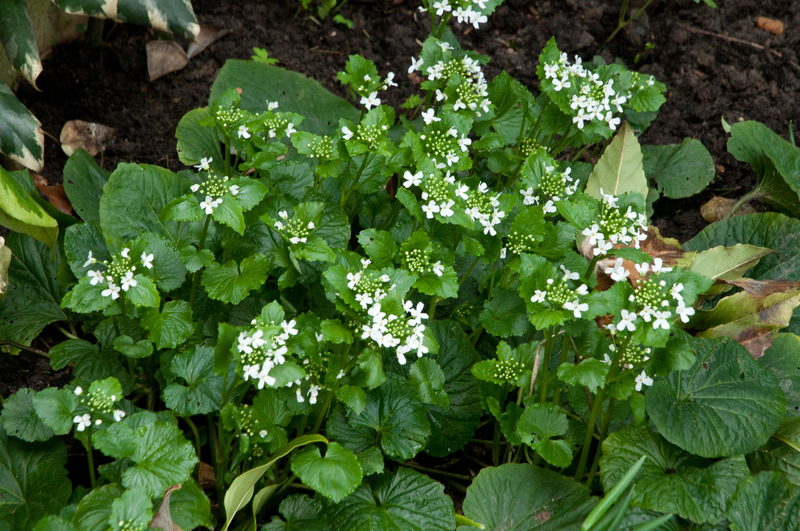 It’s vibrant architectural form is also accompanied by the sweetest of scents, akin to that of Lily of the valley. If your Mahonia is looking rather top heavy and ‘leggy’ then wait for the flowers and berries to finish then cut right back down to a few buds above ground level, and it will grow back nice and bushy from where you pruned to. 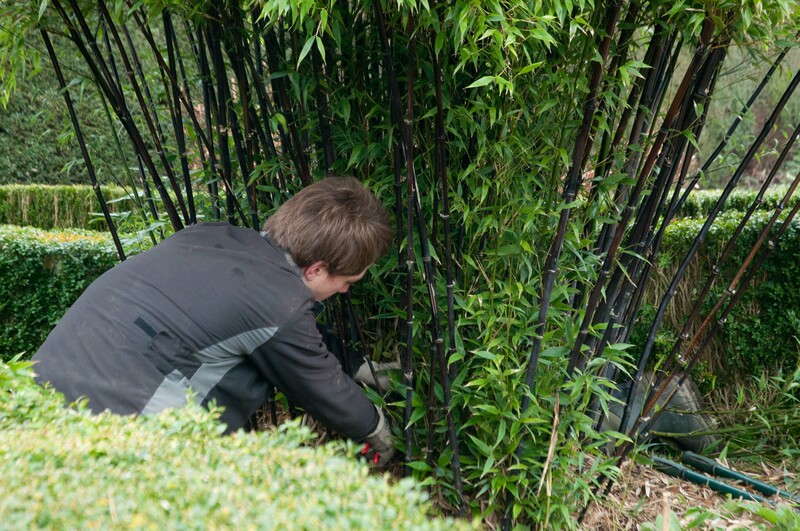 James is thinning out a black bamboo (Phyllostachys nigra) so that the stems will become see-through and have more of an impact. Here’s a before pic. 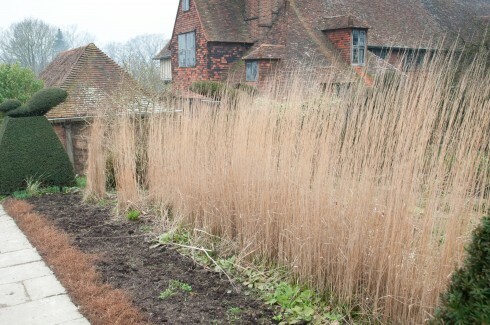 Calamagrostis x acutiflora ‘Karl Foerster’ still has an impact with its upright form throughout the coldest months. 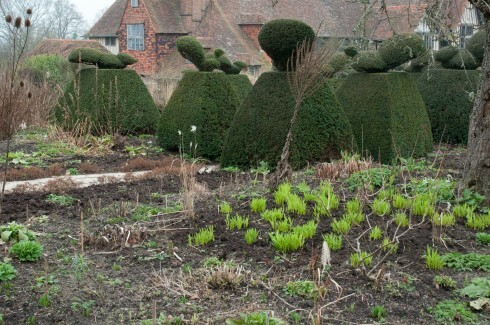 And Yew hedging and topiary play an important role in the garden, giving structure and height to the borders in winter and providing a contrasting background to the perennial plants throughout the rest of the year.